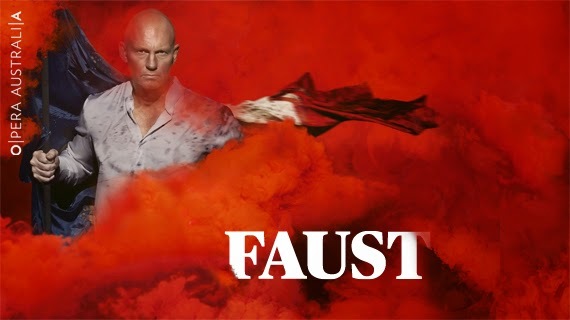 Opera Australia present FAUST, an Opera in five acts by Charles-Francois Gounod. Libretto by Jules Barbier and Michel Carre, after Michel Carre's FAUST ET MARGUERITE (1850) and Johann Wolfgang von Goethe's FAUST, Part 1. In the Joan Sutherland Theatre at the Sydney Opera House. I have not, of late, attended Opera Australia (OA). The choice of work presented, by that company, seems to be repetitive with not enough variety of repertoire, or interesting singers, to attract me, considering the cost outlay. The last live opera I attended was in New York, where I attended a performance of Shostakovitch's THE NOSE, a work that I thought I would never see in the Australian repertoire, and so, a must. I, also, had the good fortune to attend a performance of the contemporary opera, ANNA NICOLE, music by Mark Anthony Turnage, libretto by Richard Thomas, at the Brooklyn Academy of Music (BAM). Besides ANNA NICOLE being extremely rewarding, I also participated in a piece of history, sad as it may be, of being present at the closing night of the production, and the last performance of the New York City Opera. Most of my opera appetite, in the last few years, has been satisfied via the broadcasts of performances from The New York Metropolitan Opera at my local cinema. Again, my choice is usually those operas that one has never seen in Australia, or ever likely too, or of rarely performed composers or works (e.g. The 'Ring' Cycle - the last Directed for the Met in 2013, by Robert Lepage! Not to be missed), or productions featuring outstanding singers. At approximately $27.00 a ticket, to see one of the great opera companies, with great singers and exciting, innovative productions, it is value for money that I cannot pass over or recommend too eagerly. FAUST, the opera by Gounod, first presented in 1859, in Paris, has always been a source of interest for me. Undoubtedly, that interest began in front of our family's black and white television in the late 1950's while watching the 1936 film, SAN FRANCISCO, starring Clark Gable, Spencer Tracey and Jeanette MacDonald (Directed by Woody Van Dyke). Besides, the awesome earthquake (it still is today when re-watching) the plot hinges on the tug-of-war for the career opportunities of an opera singer, Mary Blake (Jeanette MacDonald) working in that city of sin (! ), San Francisco, and the 'soul' of "Blackie" Norton (Clark Gable). This plot mechanism permits the MGM studio to present the singing voice of their box-office star, Ms MacDonald, who besides singing some bar-room melodies in the Paradise saloon run by "Blackie", gets to sing two sequences from classical opera in the new Tivoli Opera House on Market Street. One is from Verdi's LA TRAVIATA, and the other is from Gounod's FAUST. I have never forgotten it, and still relish the rousing sequence when I re-watch this great classic film. FAUST is one of the great Grand Operas from a by-gone era. Its five act settings, its enormous cast of chorus, extras and dancers, the sheer scale of the work, does make it a work of prohibitive cost in this day and age. FAUST was once one of the staples of the repertoire of Opera Houses around the world, a sure popular draw that could stand, and does when done,stand beside the economic sureties of the modern ABC box-office works: AIDA, BOHEME and CARMEN. - just look at the present season of the OA. FAUST was the first production for the New York Metropolitan Opera - the Met - (1883) and was performed so regularly that the Met is sometimes described as the 'house that Faust built'. A philosopher, Faust barters his soul with Mephistopheles in exchange for, not power or wealth, but youth. (At my age, as my body deteriorates and does not do, easily, what I want it to do, reflexively, I can understand Faust's bargain, a little, I can assure you - I certainly agree, with Shaw when he says that youth is wasted on the young, now adays, as I glance around me!) He ravishes Marguerite, who after being condemned for the killing of her illegitimate child, is finally forgiven and transported to heaven, whilst Faust must keep his bargain with Mephistopheles. The Opera Australia has produced this work before, last time it was Directed by Ian Judge, in 2001, and I found the opera, then, gripping in a highly adapted version - I saw it twice. This production is based on a borrow from the Royal Opera House Covent Garden, Opera de Monte-Carlo, Opera de Lilie, and Fondazione Teatro Lirico Giuseppe Verdi, Trieste,and was first performed at Covent Garden on 11 June, 2004. It was Directed by Sir David McVicar (Revival Director, Bruno Ravella) with an English Design team: Set Design by Charles Edwards; Costume Design by Brigitte Reiffenstuel; Original Lighting by Paule Constable (Lighting realised here by Gary Dooley); Choreography by Michael Keegan-Dolan (Revival Choreographer, Daphne Strothmann). The Conductor that prepared this production was Guillaume Tourniaire, although, Anthony Legge was in charge at my performance. As you can imagine the Designs for the grand stage of Covent Garden have had to be (drastically?) adapted to fit into the limitations of the Joan Sutherland Theatre and consequently are a tad squashed and probably not as 'beautiful' in affect as there, though still, relatively, impressive. The setting has been shifted to the period of composition - 1859 - that of the end of the reign of Napoleon III, Second Empire France, rather than the Germany of Goethe's 1500's. The melodrama of the Victorian time suits the story dynamics just as well and the struggle for the 'soul' of man between church and state just as palpable. Religion and moral duty and the consequences of abandoning those values is the lesson of the piece. What made the spending of my limited funds a choice I indulged in, was the rumour of the high quality of the singing from the principals and chorus of this production. Those rumours were true. Beautifully, true. Every one of the principals were great to listen too, and the acting from a relatively, youthful 9and aesthetically attractive cast), was believable and embraceable. 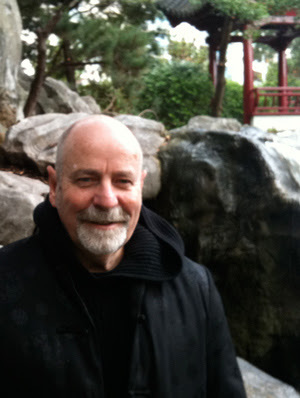 Michael Fabriano (Faust) captured one immediately with his first sound contribution and maintained the excited vibration he created in the listener throughout the long demands of the work. Teddy Tahu Rhodes (Mephistopheles) gave a sterling singing performance and an acting performance of some wry restraint - he was not required to remove his clothing, in this production! ; Nicole Car (Marguerite) gave a thrilling and easeful performance, a rising star of the Opera Australia company, indeed, - a joy to listen to and watch; Giorgio Caodure (Valentin) created a believable and creditable performance in the role as Marguerite's religiously righteous brother, singing and looking good; Anna Dowsley (Siebel) created the 'trouser' role with singing of great beauty and a more than satisfactory characterisation; while Dominica Matthews (Marthe) sang and played a 'blowsy' widow with some distinction; Richard Anderson (Wagner) too, sang to match those he supported. This was a flawless ensemble. Matched then with the Chorus of Singers (Chorus Master, Anthony Hunt. Assistant Chorus Master, Thomas Johnson) and the presence of a meticulously inspired set of acrobats and dancers, using the inventive and witty Choreography of Michael Keegan-Dolan - the Artistic Director of Fabulous Beast Dance Theatre, whose work we have seen in Sydney Festival programs: GISELLE - the three hours of performance was extremely rewarding. This production is now 11 years away from its conception and that some of the contemporary artistic gestures of 2004, in the adaptation of the opera by Mr McVicar, were, now, sometimes just a little strained, has to do with the passing of time than there original surety, probably, then. 11 years is long time in fashionable surface adaptive choices, it seems. After the performance I caught up with an acquaintance I had not seen for years in the theatre foyer - an avid opera goer - he had seen the original production at Covent Garden - and had seen this Sydney version, already, five times, with tickets for the last two performances. He was not alone in his appetite and admiration for, I was introduced to two other opera goers who similarly had seen this production as many times, and one Melbourne Opera goer who had flown up, especially for the afternoon. These 'fanatics' were thrilled and thought this production was some compensation for what they generally regarded as a boringly curated season of works for 2015. They confessed tentative hopes for the Verdi DON CARLOS, up-coming in the Winter Season, both in Sydney and Melbourne. So do I. I saw it on screen from the MET at the Chauvel, a few years ago, and look forward to it, immensely. I hope the rumours of its singing will be 'siren' enough for me to spend up again for the OA experience. FAUST was a treat. Worth, both my money and TIME.